Magnus Carlsen’s father Henrik has announced last night that Magnus is withdrawing from the FIDE Grand Prix series. We have just informed FIDE by e-mail that Magnus withdraws from the Grand Prix series due to the dramatic change to these regulations approved by the General Assembly. 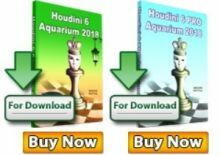 Magnus is simply not motivated to continue the GP series with the dramatically changed conditions approved in Dresden, and the uncertainty related to any future changes that may be decided by FIDE. 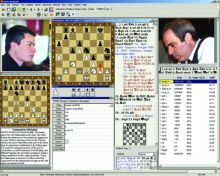 The purpose of this e-mail is to comment upon the recent news about FIDE changing the Regulations for the 2008 -2009 Grand Prix cycle and to request your comments to our questions pertaining to this change. 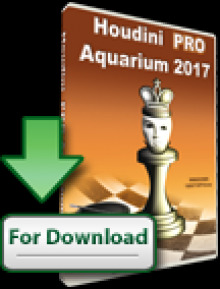 Despite a less than impressive FIDE track record over the past 15 years, the implementation of the Grand Prix 2008 – 2009 did seem to offer such a system. will be decided on the next Presidential Board meeting. We are currently considering alternative measures in response to this highly significant change, which includes legal action and the withdrawal from the cycle. Below please find some questions which you will hopefully respond to in order to shed some light on the current and future rights of players taking part in FIDE events. players as represented by the stipulations described in § 2 in these same regulations and also in the “Players Undertaking”? - If the answer is no, how do you explain the planned change, and how do you justify the harm inherent to the Grand Prix winner? by the FIDE Presidential Board) while having to stick to the conditions agreed to in the Players Undertaking and also additional adjustments made by the FIDE Presidential Board? And if so, do you consider this a viable policy for future agreements between FIDE and world championship cycle participants? Lastly we would like to mention that our criticism of the latest change of regulations is not directed at the change itself. Long term this may be a viable alternative to the current match planned between the Grand Prix and World Cup winners. But changing the rules dramatically in the middle of a cycle is simply unacceptable, and this is something that should be rather obvious to anyone involved in business or high level sports competitions. Thank you once again for your letter. year with two events completed out of six, no player has yet a clear advantage for first place and we feel that all players are benefited as now two or three places (instead of one) are giving qualification. wording (Art. 1.4). In addition as already said, there are clearly objective and important reasons to amend these regulations in order to save the whole cycle. We are really expecting your understanding and we are looking forward to even more exciting chess by Magnus. We do find the response highly unsatisfactory. To mention one thing, it is hard to understand how diminishing the value of the Grand Prix series can be interpreted as a way of saving the ongoing cycle. Having withdrawn from the Grand Prix series Magnus does not have to spend more time and energy on the uncertainty involved, and may fortunately now concentrate on playing several well organised and interesting top level events elsewhere. In the first half of 2009 he has agreed to play some Grand Slam events as well as some great rapid events, starting with a rapid tournament in Gjøvik, Norway January 2nd – 5th and the Corus A from January 16th onwards. Magnus played in the first Grand Prix tournament, in Baku, and shared first place. His next event was supposed to be Doha in December, but then the tournament was moved to Elista. Meanwhile, it buzzed out that Montreux quits the Grand Prix as well, bringing the entire project into question. Read also “After Dresden and on the Grand Prix” post on Mr. Carlsen’s blog.